Mormon Mommy Writers and Friends: Double Giveaway Monday: Rearview Mirror and crafty stuff for readers and writers! Double Giveaway Monday: Rearview Mirror and crafty stuff for readers and writers! Happy Monday, friends! It sounds like an oxymoron, “Happy Monday”, but if you are a reader of our blog, then you know Mondays are happy days this month because we have MORE great giveaways for you! This book is one of those ones that will get its hooks into you and you will find yourself sneaking away to read a few pages whenever you can. While it sounds cliché (you all must know by now how I love my clichés), reading this book was like putting together a 1,000-piece puzzle. Only you’ve lost the box. So you don’t even know what the finished picture is supposed to look like, just that you have enough pieces that look like they should go together that you’re desperate to find out what will happen when they do. The author, Stephanie Black, had all the pieces and she knew exactly what the finished picture looked like. She handed me one piece at a time, page by page, in just the right order so that I didn’t know what the final picture was until about 3 pages from the end. She would give me pieces that completed entire sections, but then when I tried to fit the sections together I realized I didn’t have the connecting pieces, and then that made me wonder if they even connected at all! It kept me guessing up until the very end. To be honest, I wasn’t sure I would like this book very much. I don’t usually read mystery novels; I’m not into the whole murder & darkness thing. The beauty of Rearview Mirror is that Black gets you to care about the characters. It’s a story that’s about more than just solving a mystery- it’s about family relationships, forgiveness, making mistakes, and how the weight of guilt can affect your life. With Rearview Mirror, Stephanie Black brings us a world of carefully crafted mystery centered on complicated and realistic characters. She takes us on a journey through a maze of peculiarly interconnected events that bring these characters together in an urgent need to discover the truth- a need that you might be surprised to discover becomes as much alive in you, the reader, as it is in the characters. Rearview Mirror is available at Seagull Book, Deseret Book, and Amazon. 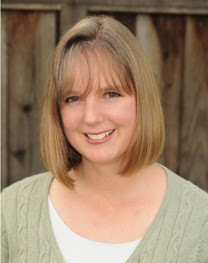 You can find out more about Stephanie Black and her other books at www.stephanieblack.net. Now, on to giveaway #2 for today: some handmade craftiness from me to you! Today, I have choices. Behind Door Number 1…(drumroll please)…a Twilight necklace! This necklace features a pendant made from a Scrabble tile that has been embellished with part of a page directly from Stephenie Meyer’s bestselling book, Twilight! Behind Door Number 2…a set of Twilight clip magnets! Are you a closet Twihard? That’s okay- you can have these clips on your fridge and only you, your family, and your carton of milk will know. Read your favorite quotes and smile as you reach for your late-night snack. Plus, they’re handy for holding important papers. And last, I wanted a choice for you non-Twilighters, so behind Door Number 3 is…a motivational scrabble tile plaque for your desk! 5 little letters (for a total word score of 8) will remind you of your passion and inspire you to get writing. The letters have been permanently affixed to the tray, so they will remain intact and inspirational for years to come. A classy and fun conversation piece to add to your home! Just like last week, we will have TWO winners- one for Rearview Mirror and one for one of my crafty goodies. But, unlike last week, this week you can let me know which prize you'd like to win as I will do two separate drawings- one for the book, one for the crafts. You are allowed to enter both drawings- just let me know in your comment that you'd like to be entered to win both. If you don't specify which drawing in your comment, then you will be automatically entered to win both prizes. You can only win ONE prize! If you are a winner in one drawing, you will be out of the running for the other. ALL ENTRIES MUST BE MADE BY 11:59 PM MST tonight, January 16, 2012. Winners will be posted tomorrow morning in our Winner's Circle (tab at the top of the blog home page). 5. And, because I want to give you even more ways to win, you can earn an extra entry this week by visiting my other blog over at The Beautiful Thrifty Life and following me over there- don't forget to let me know in your comment on THIS post if you've done that. Can you believe we're only halfway through this month of giveaways? Make sure you keep coming back for MORE chances to win every day (except Sundays) this month! Ooh, great contest, ladies (and I'm the first commenter today? Yay!). I'd love to win any of the above. And I just became your newest follower, Casey, on your blog! Well, gee whiz, I apologize. That should be Kasey with a "K"!. Blame it on my niece who spells it Casey. Sorry! As much as I love Twilight... 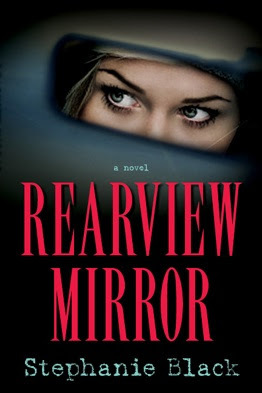 I have to say I've been dying to read Rearview Mirror, and would love to win a copy! I am a follower (I've been subscribing in RSS up till now) and I am a fan of the facebook page. Considering that I was already lucky enough to win a book, I think I'll head for the scrabble plaque. Nothing like more motivation! I'm already a follower of this blog, the Facebook page, and now your blog too. Haha I also mentioned your giveaway in my Facebook status with a link, but I'm not sure if you meant a personal profile or an actual page. I would love a copy of Rearview Mirrow. I read it and it was great! I am a follower on facebook, and this blog. I would love a copy of Rearview Mirror! I am a follower on Facebook, as well as a follower on this blog. Would love to read this. Thanks for the great poats. I follow MMW Blog and on Facebook. Kasey, thank you so much for the great review!